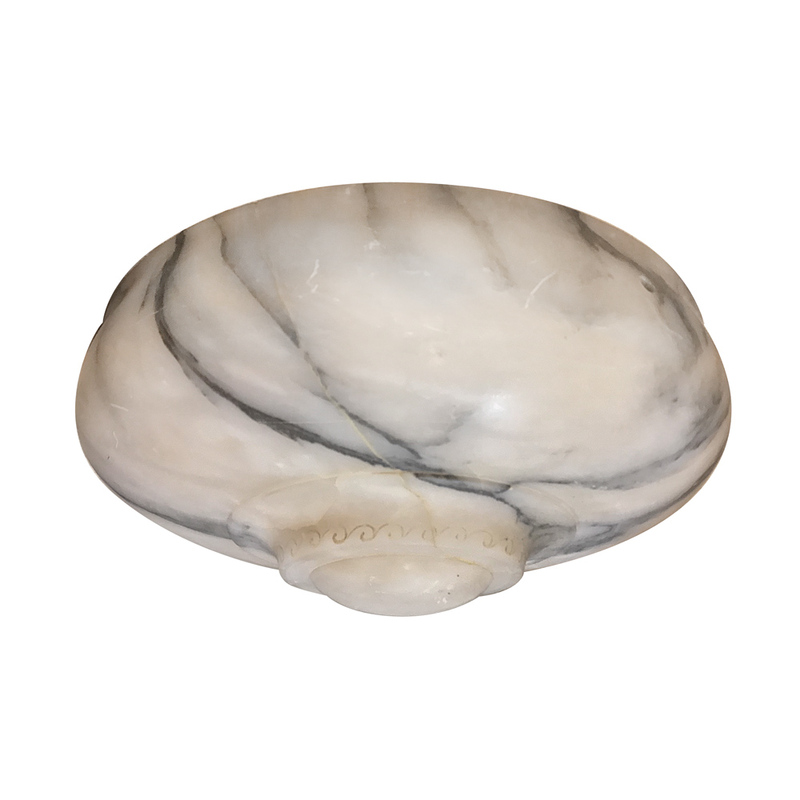 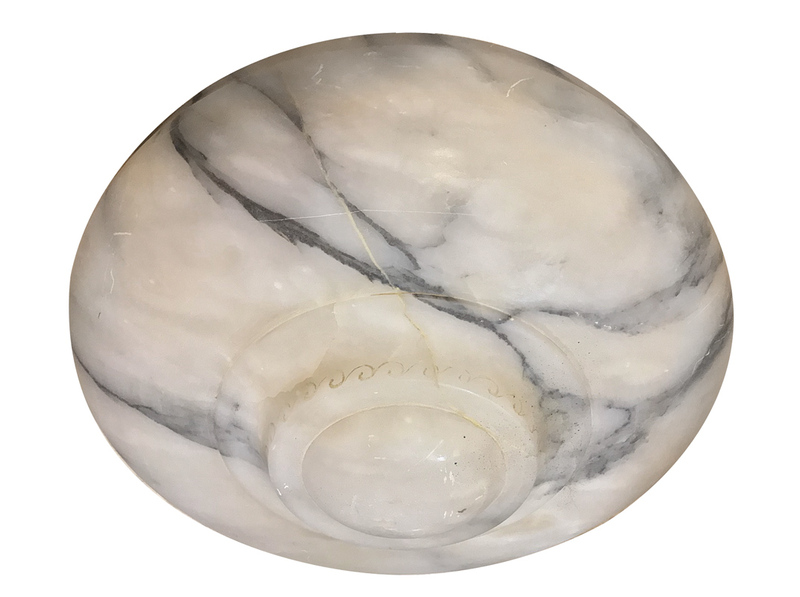 A circa 1920’s Italian carved alabaster light fixture with gray veining with 3 interior lights. 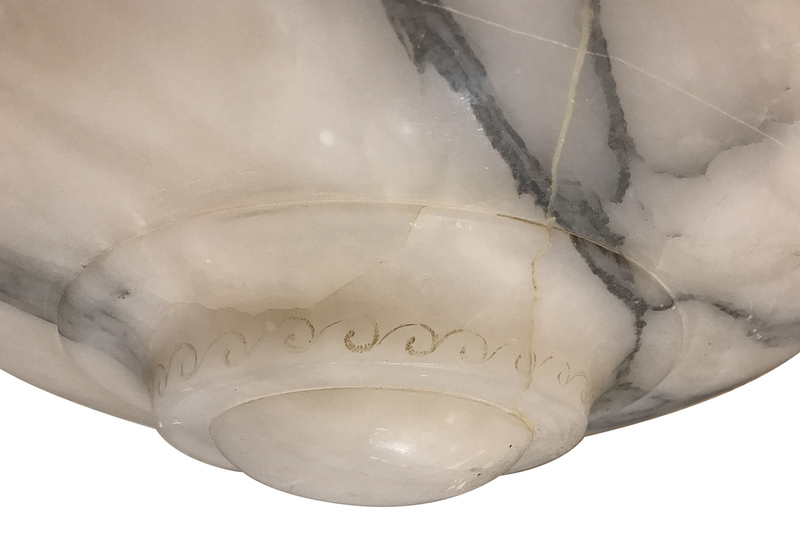 A 1920’s Italian carved alabaster light fixture with interior lights. 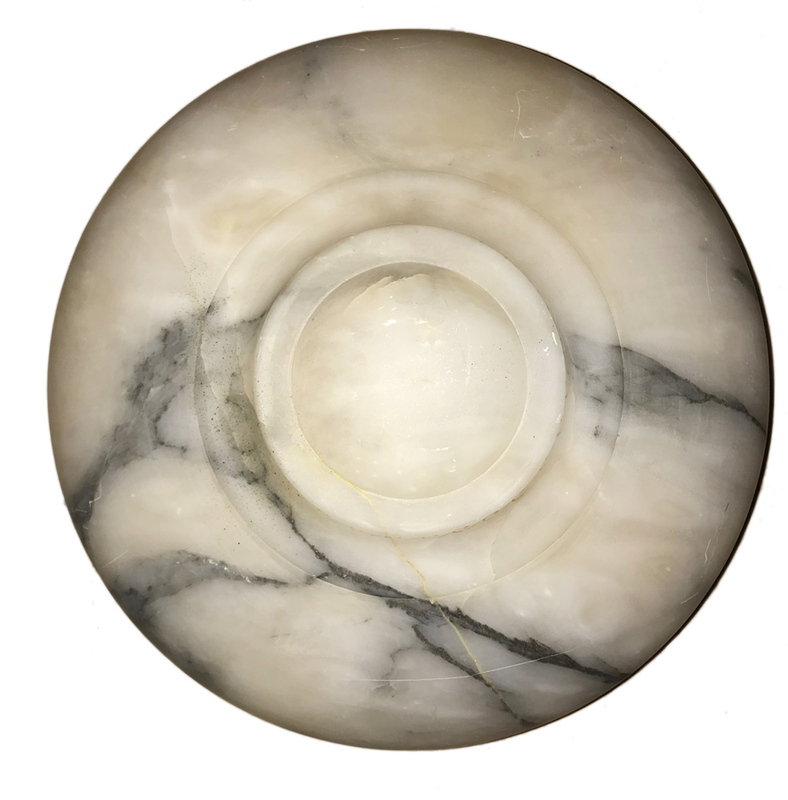 Mainly white exterior, gray veining and pink interior tint. 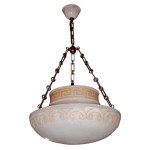 Can be mounted with cords or chains. 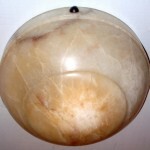 Measurements: Diameter: 19.5"